Arduino MEGA + NRF24L01 100mw Transceiver Module with high gain antennas. Transmitter: Logitech Joystick + Arduino with NRF24L01 Transceiver. Lots o’ buttons. I was one of those kids that longed to have a RC hovercraft as a toy. I remember going to the mall on several occasions and there would always be the vendors out in front of the stores running them around on the floor. I had a couple of really cheap toy ones but a decent one (still a toy mind you) back in the 90’s would set you back more than $75. Much more than my family wanted to shell out for something to give to a kid that takes everything apart or destroys it anyways. Perhaps it is my unusual infatuation with fans that draws me to them, I don’t really know. What I do know is, they’re friggin’ awesome! 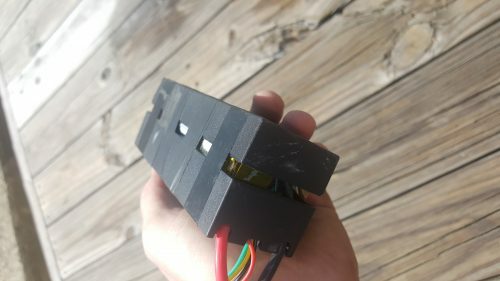 I’ve been working on building a quadrotor for a while now. Well, more like.. I started the project, got most of the way through it, and then fell short on actually getting it off the ground. Much of this is totally because I wanted to roll my own transmitter and receiver for it, and use my own controller for input. 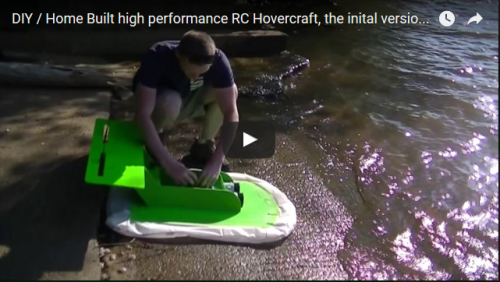 I decided a hovercraft is a good stepping stone to that because I can get the control scheme largely worked out and tested before I get to even try to fly something with it. Having something robust before taking to the sky initially is a good plan, and the hovercraft seemed like an appropriate path. 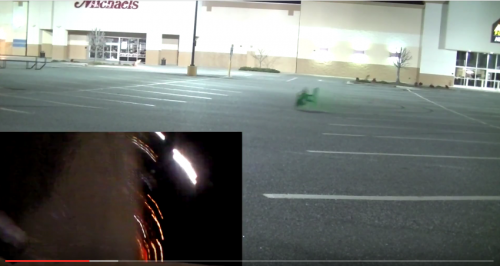 This thing can take some pretty heavy crashes, which is clearly evident in much of the video footage I’ve taken. Eventually we’re going to add a gyro, GPS, and a suite of sensors to work towards making this thing autonomous. It will be interesting to see how far down the path I get with it, even without those elements to it I have so much fun driving it around as it is. 2/12/2017: More information on this page coming real soon.